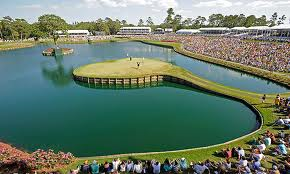 Episode 25 - The Wells Fargo Championship headlines this week as the world's best golfers start to gather in the United States for next week's Players Championship. Hosted again at the classical Quail Hollow where Justin Thomas captured the PGA Championship last August, Quail saw a Tom Fazio re-design prior to the PGA turning it from a long Par 72 to an incredibly long (7,551 yards) Par 71. Quality players such as Tiger Woods, Anthony Kim, Rory McIlroy, Rickie Fowler and J.B. Holmes have won this in-recent times, with 3 of them taking their first PGA Tour title into the bargain. iTunes Review Chat: 01:30; Wells Fargo Championship Start: 03:00.